Local connections matter more than state lines. That’s true in Southwest Virginia where the commonwealth bumps against Kentucky and Tennessee. 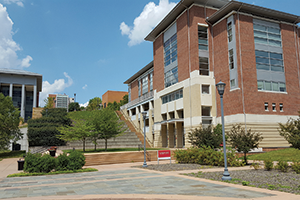 All that interaction is one reason U.Va.-Wise has begun offering in-state tuition to students from Kentucky and Tennessee who live within 50 air miles of the Wise campus. U.Va.-Wise began in 1954 as Clinch Valley College of the University of Virginia, a two-year school with 109 students. Virginia committed $5,000 to the school’s first year and $5,000 to the second — if the college survived. That was more than a decade before Virginia’s community college system was created. The nearest state-supported four-year colleges were Virginia Tech in Blacksburg and its women’s division in Radford. It takes 2½ hours to drive from Wise to Radford now, but it took longer in pre-interstate 1954. East Tennessee State University, the closest state college to the Wise campus today, is still an hour and a half away. “U.Va.-Wise was created by the people in Wise County to provide affordable access to higher education” for a region that didn’t have that, Henry says. U.Va.-Wise has grown into a four-year liberal arts college with 2,067 students on a 369-acre campus. The college has offered reduced tuition rates to some Tennessee and Kentucky students before, but allowing them in-state tuition will cut costs even more. Those students will still pay an additional capital fee, so their total costs will be a little more than Virginia students pay. The 50-mile extension of in-state tuition includes the Tri-Cities – Bristol, Kingsport and Johnson City – along with six counties in Tennessee and 10 in Kentucky. The Appalachian Regional Commission classifies 11 of those 16 counties as economically distressed. That means an index of unemployment rates, poverty rates and per-capita income ranks them in the lowest 10 percent of U.S. counties. That may be the biggest motivation behind the new tuition policy. “We really want to make college affordable and give students in the Appalachian region the ability to advance in higher education and be successful,” Henry says.